The envy of every golfer is to be able to stop their approach shots like the pros we watch on television. Those crisp wedges that either take two hops and stop on a dime or land past the hole and spin back to tap-in range mesmerize us and cause us to lose sleep at night. How the heck do us mere mortals hit shots like that? 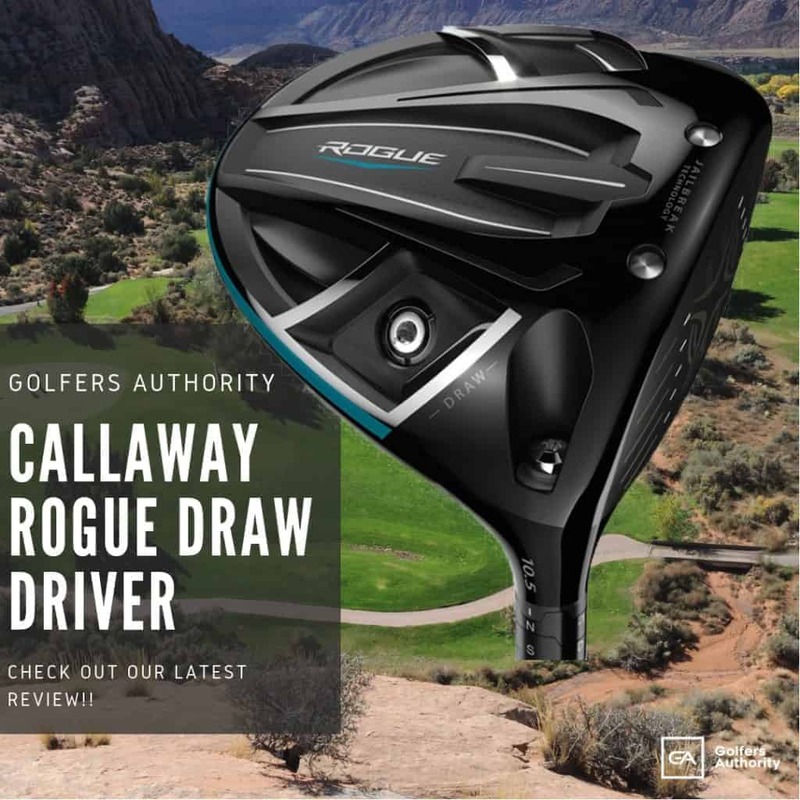 While there is certainly some technical expertise that helps, what most players don’t realize is that the grooves the pros use are as sharp as legally allowed. 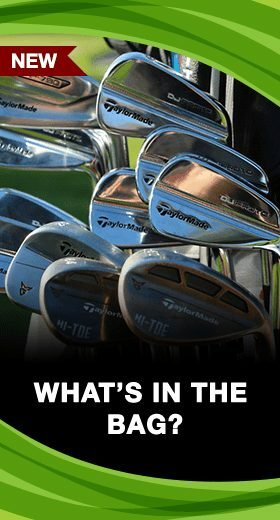 Many pros replace their wedges every week and their grooves are sharpened after every round in some cases. Fortunately, there are sharpeners that you can use at home and get your shots to stop on the green as well. 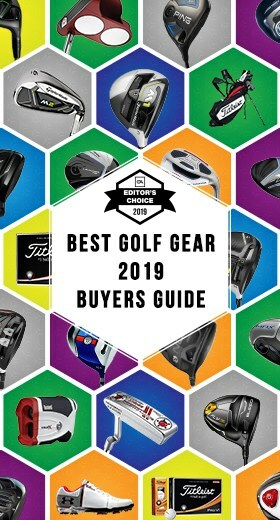 Be sure to check out our Buyers Guides on the Best Golf Drivers, Fairway Woods, Wedges, Hybrids, and Putters that can help you take your golf game to the next level. What is a Golf Groove Sharpener? 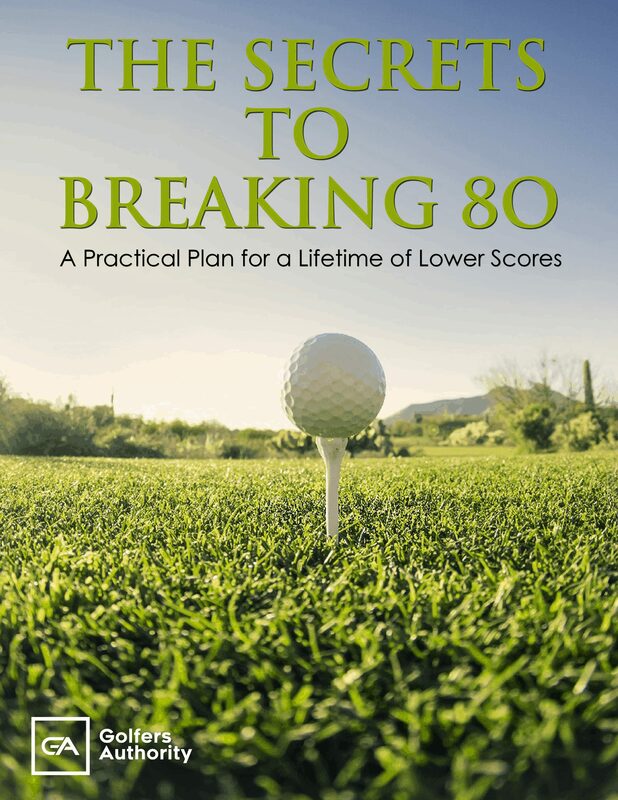 Over time the grooves on your wedges and irons wear and become dull. Just like the knives in your kitchen, keeping your grooves sharp maintains their integrity maximizes performance. These tools are tools designed to fit in between the grooves on your club and keep them as sharp as the day you bought them. Most sharpeners are made out of steel and vary in sizes that can be custom fit to different size grooves. How Does a Groove Sharpener Work? Using a sharpener on your clubs is simple and should take no more than ten minutes per club, especially when you are cleaning your golf clubs. To begin, place your club head on a white towel. 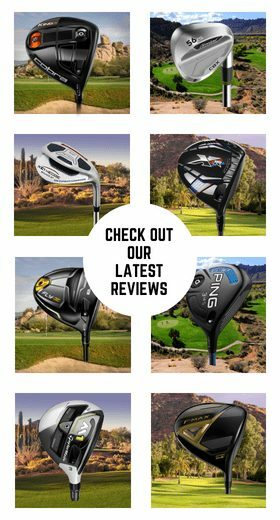 Examine the face of the club closely noting any debris in the grooves or nicks in the face. You can also run your finger nails across the grooves to test their sharpness. If your grooves are sharp, your finger nails will make a noticeable clicking sound. Grabbing your sharpener by the handle, insert the blade at a slight angle so the sharp edge faces the top of the groove. Firmly slide the blade the width of the entire groove and repeat on the bottom side of the groove. 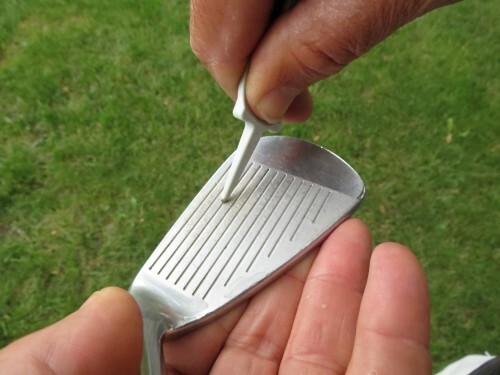 When finished with the club, your grooves should look noticeably cleaner than before. Below we have described and reviewed five of the best sharpeners on the market today. This sharpener tool is one of the most popular tools on the market. 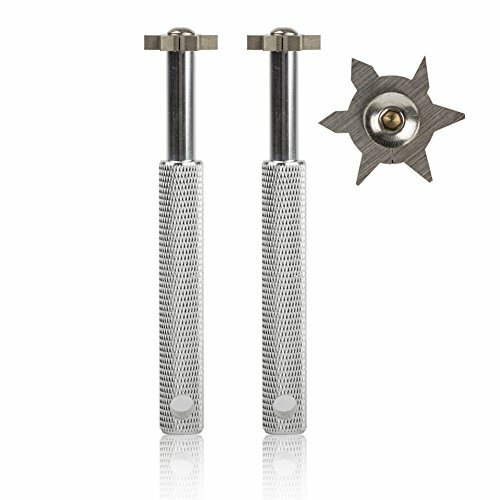 The 4.5” handle features a knurled grip that prevents slippage during use of the tool. The stainless steel blade is made on a CNC ensuring that it fits precisely in both U-grooves and V-grooves. 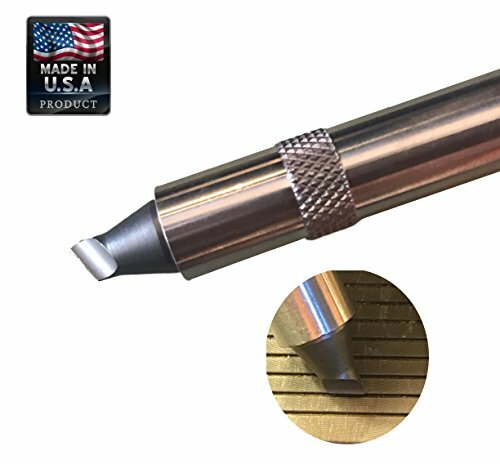 Extras include an aluminum protective cap and a key chain that easily attaches to your bag so you’ll never have to worry about losing this TruGroove tool. It is by far one of the best tools around that you can use. The nU sharpener is one of the most durable, longest lasting sharpener tool on the market. The 4” aluminum handle with non-slip grip gives you plenty of room to keep your fingers safe while being close enough to your work that you won’t make any mistakes with your tool. 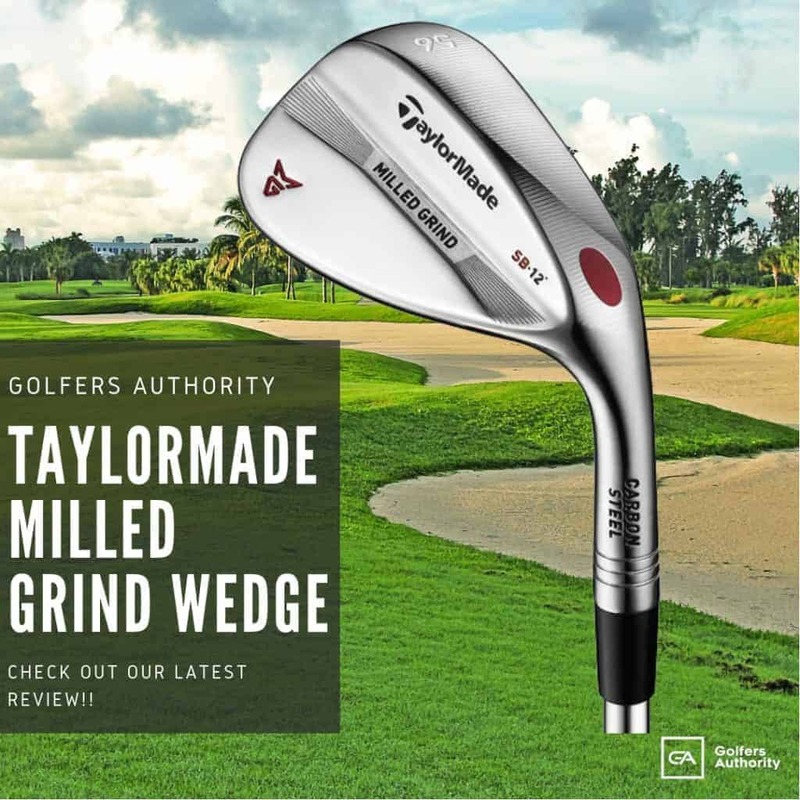 Manufactured by Wedge Guys, this tool comes with a 30-day 100% satisfaction guarantee. If you’re looking for one of the best sharpener tool that is sure to last each year, the nU might be your best bet. 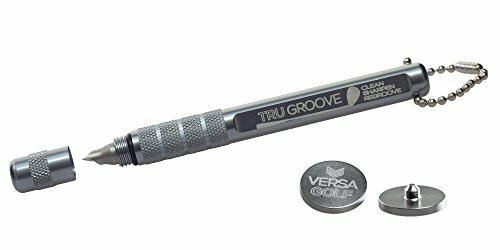 The nU Groove Sharpener by Wedge Guys is the strongest golf club groove sharpener to clean and restore your wedges, irons, and all other golf clubs. With a 4" aluminum handle and non-slip grip, the nU Groove Sharpener is strong enough to clean the grit and gentle enough not to damage your beloved golf clubs. The HIFROM sharpener is the most versatile tool on the market. Six interchangeable heads each feature different blades for U and V-grooves allowing you to tailor the sharpener to each of your specific clubs. Each blade is made of the hardest steel available and tests at 65 on the Rockwell scale. The HIFROM also comes with two sharpening blades and is available in a multitude of colors. If you’re looking for longevity, quality and style, the Hifrom has it all. 1. A MUST HAVE 6 HEAD GOLF CLUB GROOVE SHARPENER - BEST ON THE MARKET. 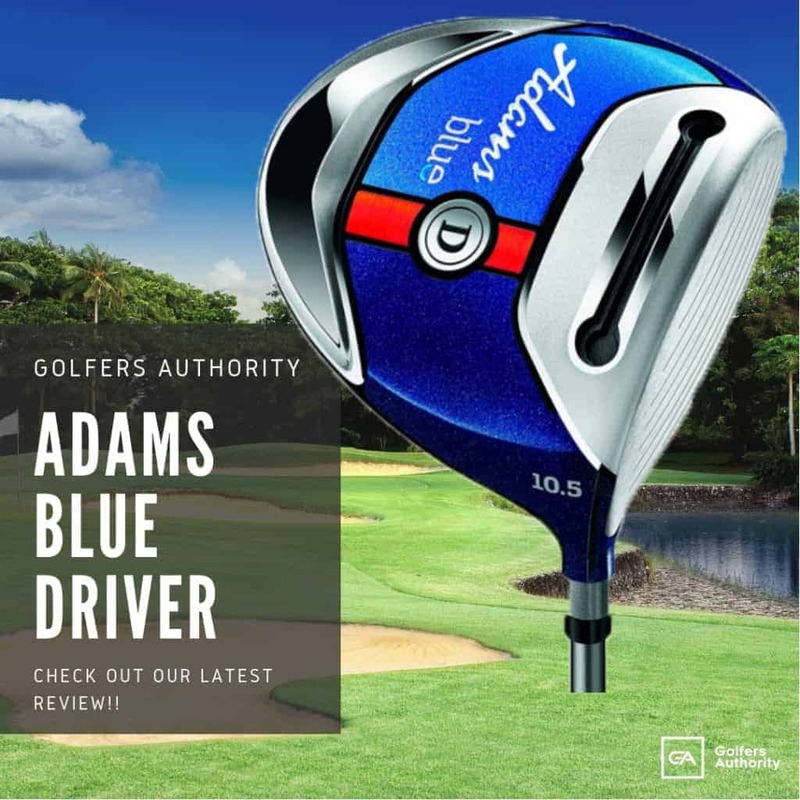 Perfect for Improving your Backspin and Ball Control just like the PGA Tour Professionals. Fantastic results on both V and U (square) grooves. Convenient and simple to use and carry.Save money to spend another set of irons and wedges. Easy to regroove the clubs without any trouble. 2. FITS YOUR CLUBS: 6 Heads with two different cutting ends, one U shaped, the other V shaped, you choose which one to use. Lichi texture on the shaft surface for firm grippng when cleaning the golf club head, avoiding sliding in the hand. 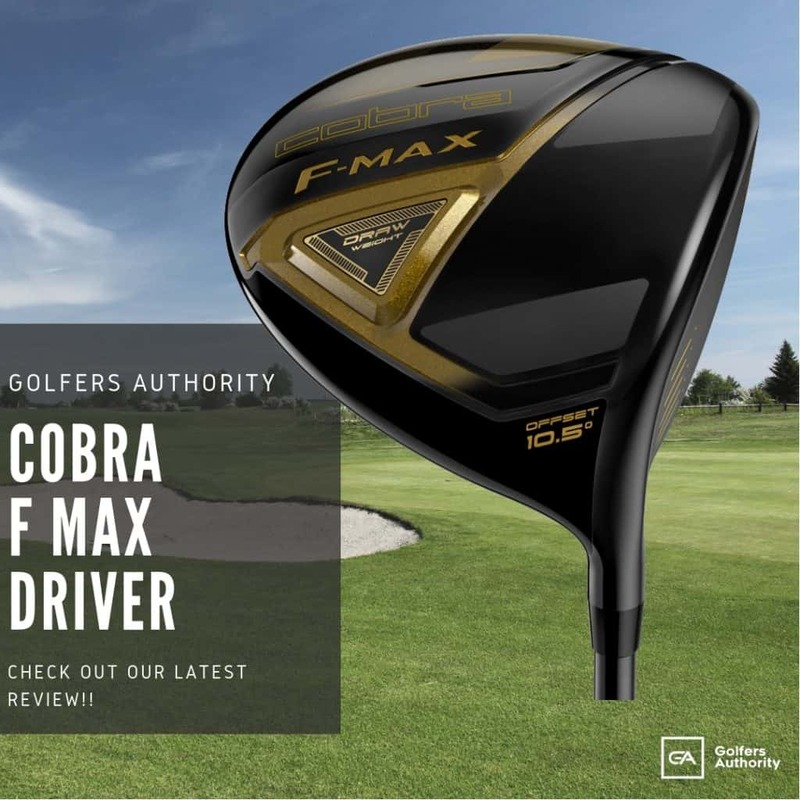 Perfect for Adams, Callaway, Cobra, Cleveland, Nike, Ping, TaylorMade, Titleist, Wilson, and other Leading Irons, including Sand Wedges, Lob Wedges, Gap Wedges, Approach Wedges, and other Golf Utility Clubs. 3. 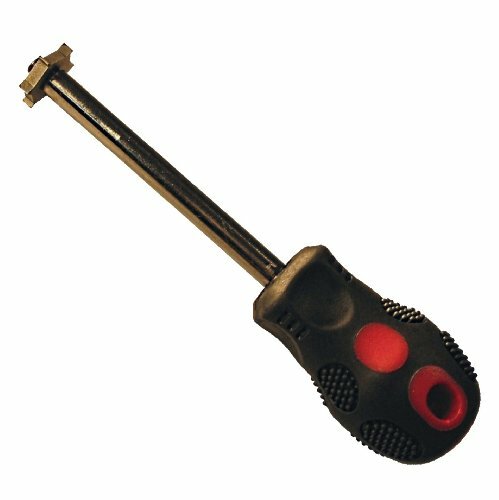 DURABLE, COMFORTABLE TO USE: This metal golf tool is designed for long wear and enduring performance; the comfortable grip ensures it is easy to use whilst the precision engineering and highest quality metals make it extremely durable. 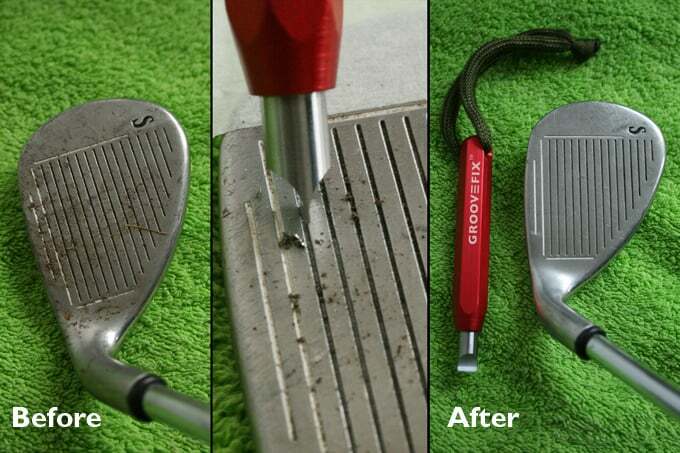 The texture on the shaft surface for firm grippng when cleaning the golf club head, avoiding sliding in the hand. The SENHAI sharpener is another multi-faceted tool that fits nearly any club or groove around. Stainless steel blades are sure to last for years and the aluminum handle allows you to maintain precision throughout the sharpening process. The SENHAI sharpener also comes with a dual-sided brush for easy cleaning on the course. One side of the brush has nylon bristles for easy surface-cleaning while the other side has a wire-brush that is sure to get the deepest grime out of your grooves. 6 BLADES GROOVE SHARPENER: 6 blades of different widths for sharpening and cleaning grooves. 3 blades for U grooves and 3 for V grooves. Easy to use and clean. HIGH QUALITY METAL: The sharpener made of vacuum-treated steel measures 60 on the Rockwell hardness scale, achieves a maximum durability. 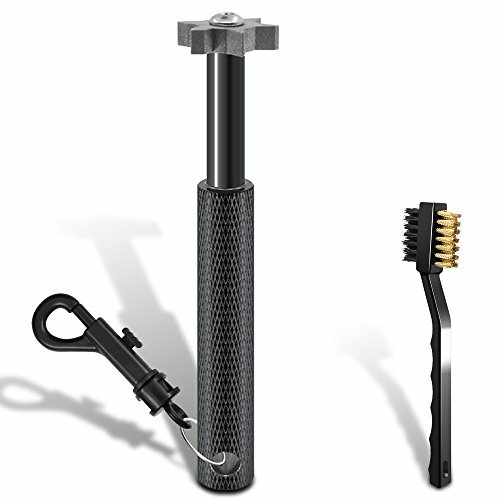 NYLON AND WIRE BRUSH: The cleaning brush with wire and nylon bristle is great for cleaning the irons of golf club and other equipments, such as shoes and bags. Made of vacuum heated treated A2 steel, the X6 sharpener has a blade for every groove out there. The ergonomic grip sets this tool apart from others in that it gives you multiple ways to secure your grip for ultimate cleaning. This amazing tool features both U shaped and V shaped cutting heads, which will you gain better backspin and ball control. X6TM Sharpens and re-grooves all wedges and irons back to new condition. Helps add more SPIN! Made from Vacuum Heat Treated A2 Tool Steel, with a maximum hardness of 65 Rockwell. SUPER HARD! 6 cutting blade tips (3 U & 3 V tips)....Works with both "U" (square) & "V" grooves. There is no doubt that having clean grooves with your wedges and irons will give you the ultimate in ball control. For the price less than a bucket of golf balls, you can gain the little extra you need to pull off that epic golf shot.